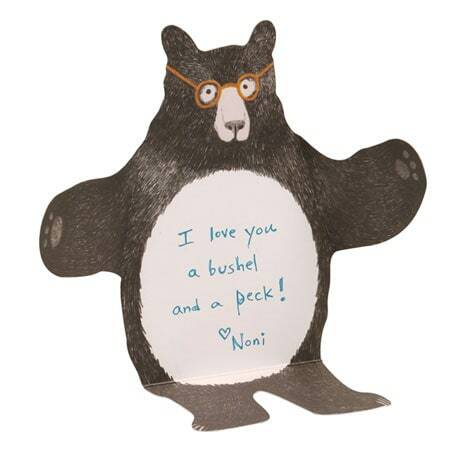 Wrap your words of encouragement and affection in a great big hug with our adorable Bear Hugs Cards! 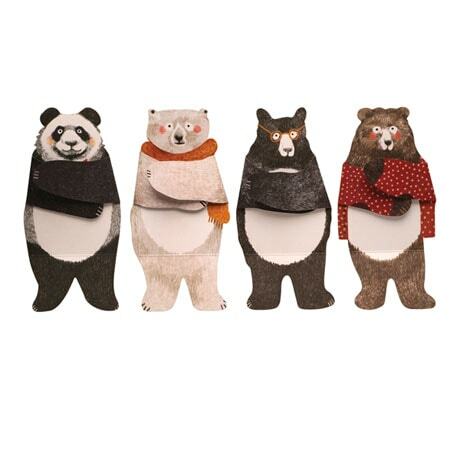 Simply jot your note onto the 7¾"-tall bear's ample belly, then fold his arms and legs to "embrace" your message. What a charming and unique way to send an extra dose of love and whimsy across the miles! The boxed set of twelve note cards includes three each of a black bear, brown bear, panda bear, and polar bear, with patterned envelopes.